As the leading manufacturer in China, GN Solids Control has many years of experience in solid-liquid separation equipment manufacturing. GN Solids equipment has been successfully applied to a variety of industries and fields. We developed decanter centrifuges which can be widely used in oil drilling, environmental protection, food industry etc. Through continuous innovation, GN engineers just developed new industries- the chemical and pharmaceutical industries. During the chemical manufacturing process, physical separation is a very important step: solid-liquid separation in chemistry industry, separating the different specific gravity of the liquid, the classification of solid mixtures, solid-liquid mixture and dehydration processes require decanter centrifuge to achieve. Ore and mineral separation, such as gold, silver, lanthanide, lead, zinc, nickel, copper, platinum etc. Many different ore processing are suitable for treatment with GN Solids Control equipment. GN shakers, mud cleaners and decanter centrifuges are widely used in the separation of the mining, raw materials and ores industry. 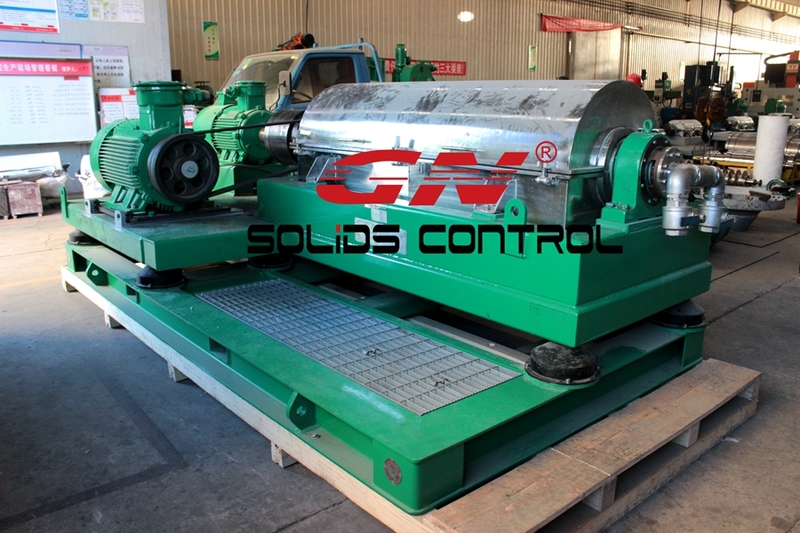 GN Solids Chemical centrifuge is designed according to the specific requirements of the products produced. Chemical and pharmaceutical industries are required to have a high standard hygiene, medicine and chemical centrifuges; GN Solids decanter centrifuges are manufactured through a rigorous selection of materials and advanced CNC machines with the help of professional workers. Reliable and safe production processes: chemical and pharmaceutical industrial plants need the centrifuge run reliably and safely, duplex stainless steel made by centrifugal casting has excellent corrosion resistance, greatly extended service life. GN Solids Control has very smart and professional technicians most of them have been worked more than 20 years in the solid control industry. All GN equipment are designed and manufactured according to API and ISO regulations, and the CNC machinery manufacturing process is in strict accordance with the QA and QC for production. GN Solids Control is always committed to provide customers professional designs and excellent production of centrifuges, with high-quality and less maintenance costs for our customers. GN Solids Control focus on the design and manufacture of centrifuges for customers to maximize the capital investment.